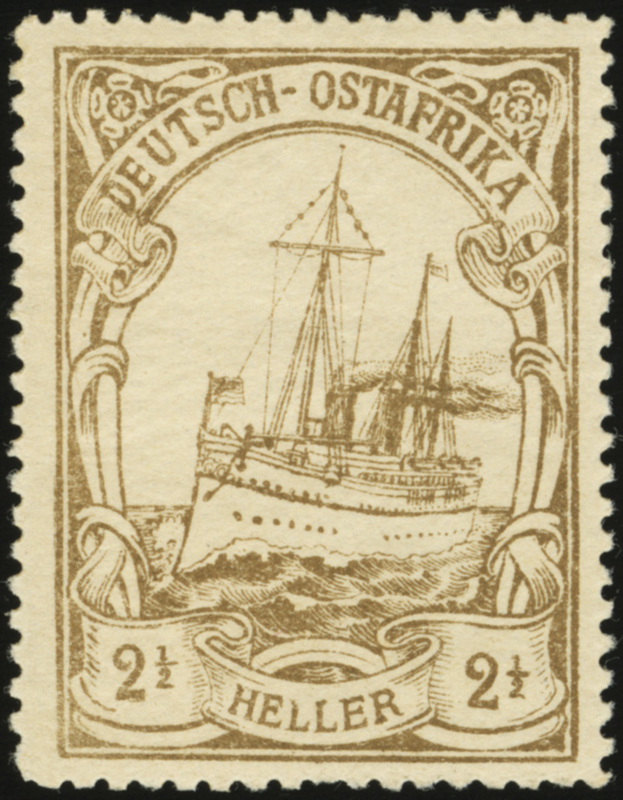 This 5-stamp series of forgeries of the German East Africa yacht issues was discovered in the years after WWI, but the stamps’ exact provenance is still a mystery. 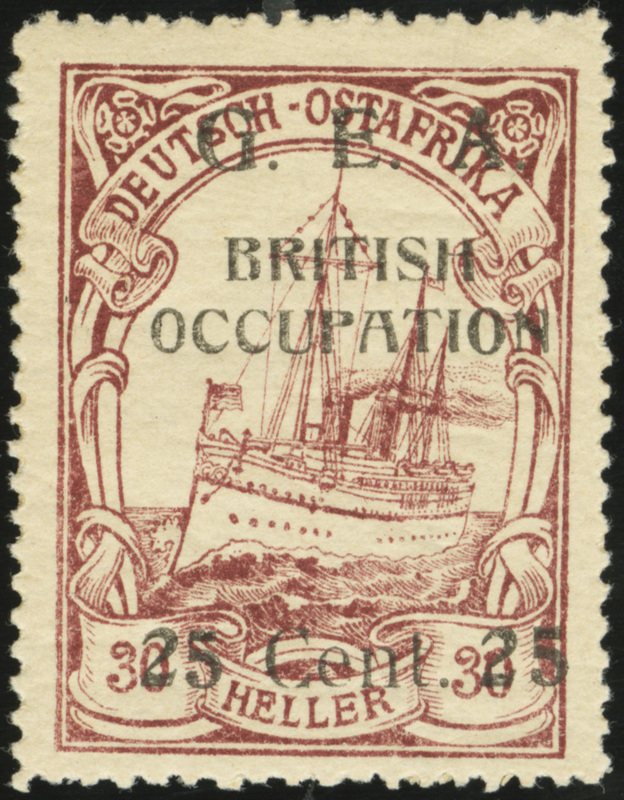 The stamps are not believed to have been intended as true forgeries, as they are so different in design quality and size that they could not possibly have fooled users. 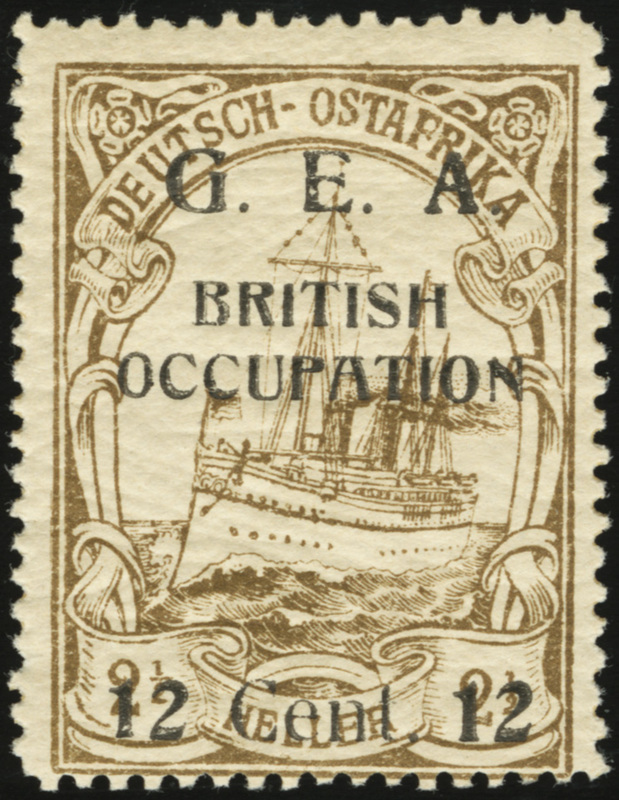 Most theories place there origin within the British propaganda executive during the period from 1916-1918, though there are competing theories that they are of Italian origin post-WWI, or produced as provisional issues by German forces in DOA during 1917. 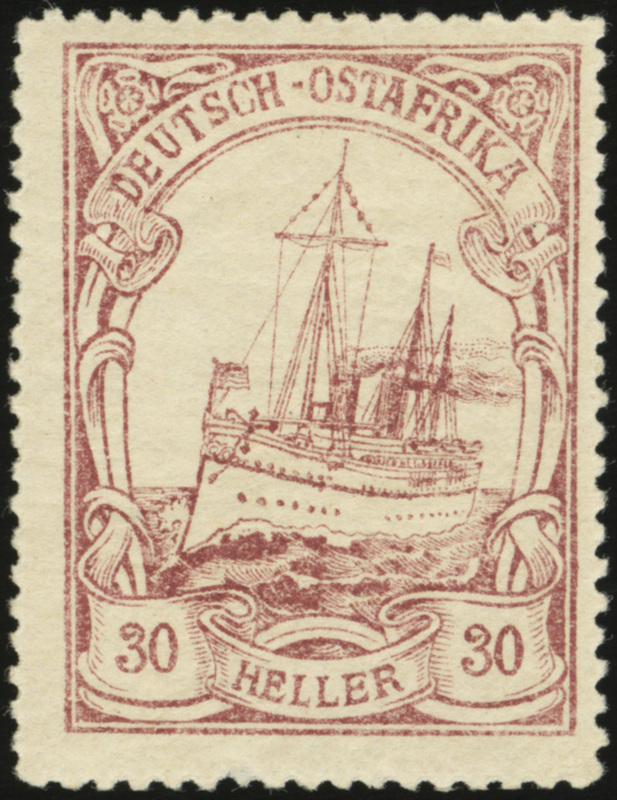 The famous cinderella expert Harry F. Rooke referred to the stamps as the “Karissimbi provisionals”, though the reason for giving them this name is unknown. 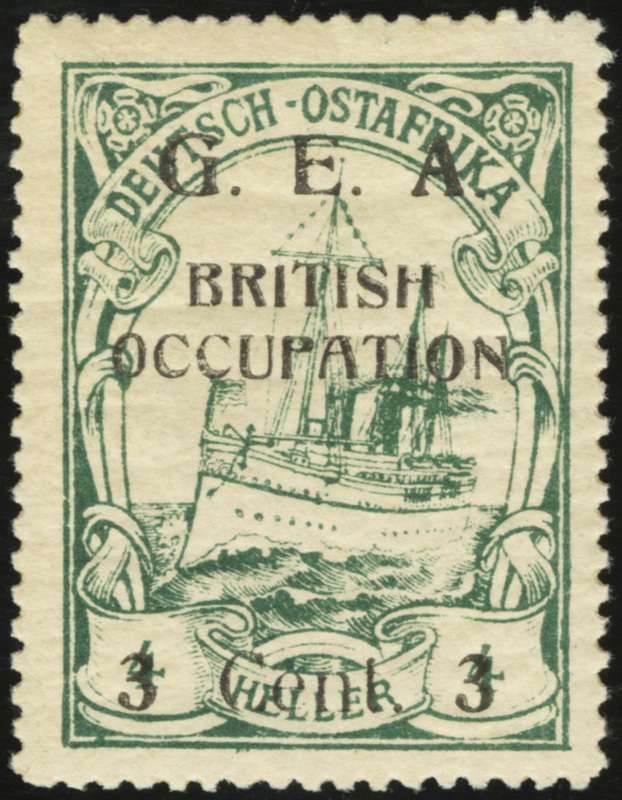 Karissimbi is a volcano that was in the western part of German East Africa. 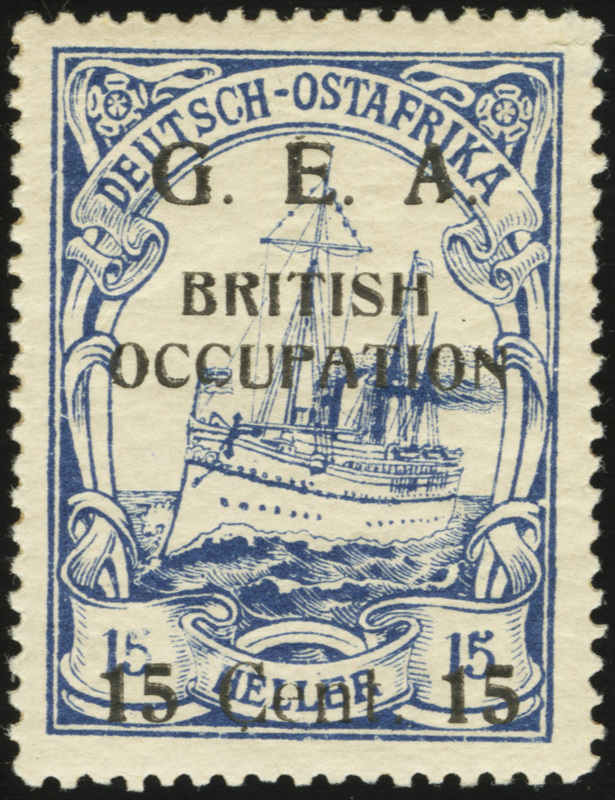 They are known to exist unoverprinted, overprinted “G.E.A. 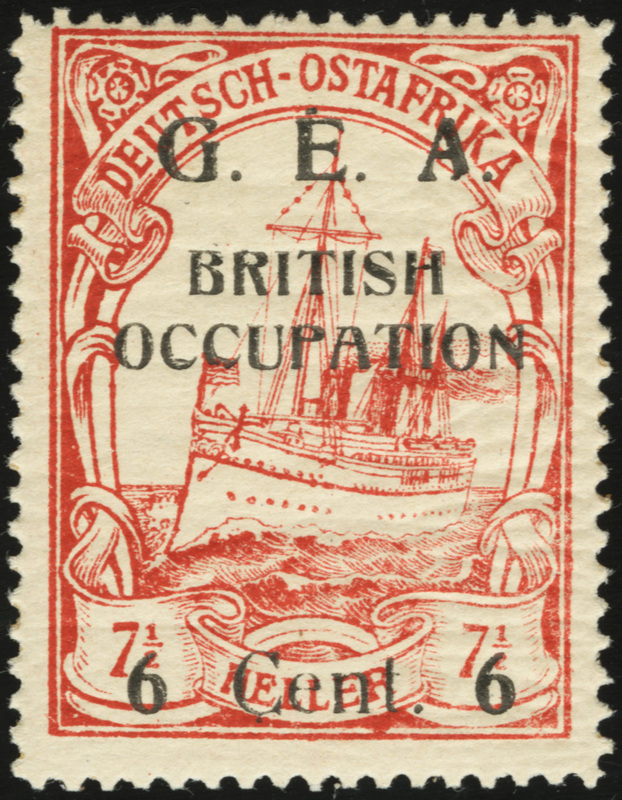 BRITISH OCCUPATION” with new value, and overprinted with forged cancels. 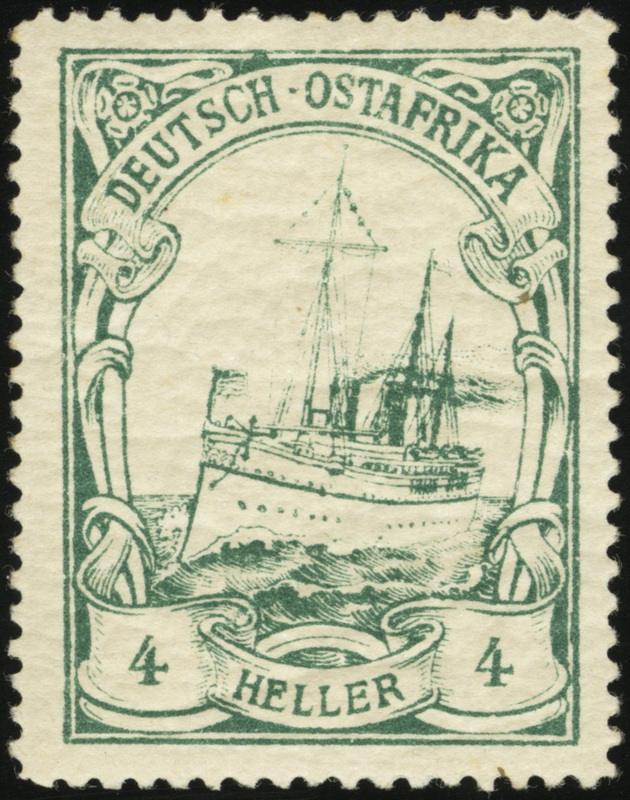 Imperforate copies are also known.